In this section, Mary searches up and down the West Coast and out across the Mississippi for women publishers, novelists, and movers and shakers in the feminist community. Her first profile was of the women printers of the Dead Feminists Series. In February, 2013, she had a chat with Krista Lyons of Seal Press, A Feminist Publisher. In April, 2013, Mary wrote about She Writes Press with an interview courtesy of Brooke Warner. 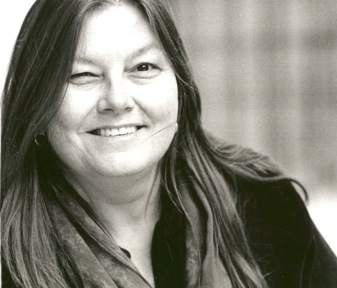 In addition to interviewing publishers in 2013, Mary interviewed Elissa Bassist of The Rumpus and Modern Love fame, Leni Zumas, author of Oregon Book Award nominated The Listeners, and multiple prize-winning fiction writer, Dorothy Allison. In 2014, Mary has interviewed feminist stakeholders, the first of which was an interview with VIDA Count Director, Jen Fitzgerald. Mary then profiled Hedgebrook, a retreat for women writers on an island off the coast of Seattle, and spoke with Amy Wheeler, the executive director. Next on the docket was fabulous writer and feminist filmmaker, Jennifer Baumgardner, Executive Director of The Feminist Press. For the fourth Monday of March 2014, Mary put on the rubber boots to interview Amanda Mayer, feminist brewer of SingleCut Brewery, in Astoria, New York. The results of this profile were flavorful, to say the least, with a pleasant malty finish. For the second Monday of April, Mary interviewed Caroline Heldman, a feminist political science professor at Occidental College, for her take on the state of women in politics, and more. In June, 2014, Mary interviewed seriously funny women, Sarah Pappalardo and Beth Newell, creators and managing editors of women’s media parody, Reductress. In July, Mary interviewed Linda Villarosa, a journalist and New York-based educator. In December, she talked to Jan Mercer Dahms at Plum Alley, a site that promotes crowdfunding for women entrepreneurs. In 2015, Mary spoke with essayist and memoirist, Melissa Febos, about her writing, feminism, and New York. Emily Schultz, author of the satirical, speculative fiction The Blondes, responded to a few questions about her novel. Debut novelist Naomi Jackson of The Star Side of Bird responded to some questions about her novel. Celebrated writer, Linda Hogan, discussed her journey to becoming a writer, as well as her literary preoccupations. Check back often for more interviews and profiles of women writers of change.